This longitudinal observation study from Italy looked at the effects of homeopathic treatment on the asthma, allergic rhinoconjunctivitis, atopic dermatitis (AD) and food intolerances of 213 children drawn from a hospital-based homeopathic clinic. 104 children were available for followup over the 8-year period with most reporting a major improvement or resolution. 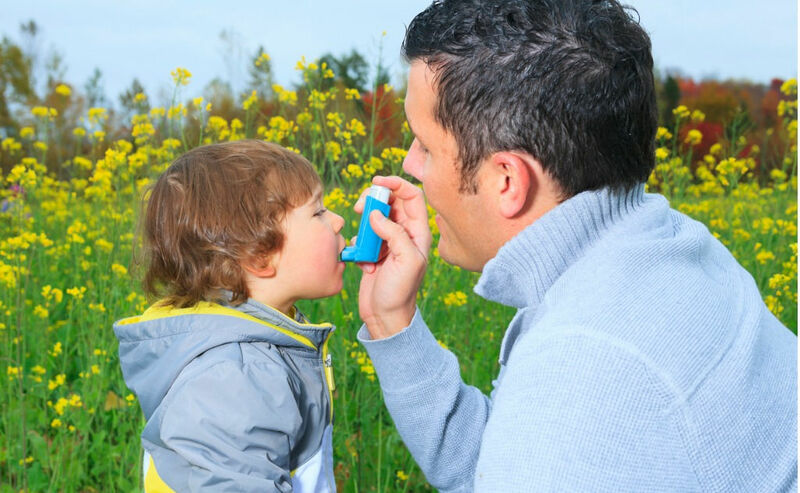 The researchers stated that data from the literature appeared to show that paediatric patients treated with homeopathy had a reduced tendency to maintain AD and develop asthma (and allergic rhinitis) in adult age. This data appeared to be confirmed by their study. To study the socio-demographic features, the prescribed remedies and the outcome of atopic diseases in children treated with homeopathy at the Homeopathic Clinic of Lucca (Italy), and the long-term outcome of children suffering from atopic dermatitis (AD) after an approximate 8-year period (range 5-10 years). Our data derive from an observational longitudinal study carried out on 213 children (38.6%) with atopic diseases out of 551 children consecutively examined from September 1998 to December 2008. We used the Glasgow Homeopathic Hospital Outcome Score to evaluate the results that were classified on the basis of a Likert scale. Eighty-three (39%) children were affected by asthma, 51 (24%) by allergic rhinoconjunctivitis, 76 (36%) by AD and 3 (1%) by food intolerance. Follow-up patients were 104 (48.8%), and 65 (62.5%) of them reported a major improvement or resolution. The parents of paediatric patients suffering from AD, who had started homeopathic treatment at <4.9 years of age were invited to follow-up assessment 8 years later and 40 children (mean age 12.9) were examined; 28/40 (70%) had a complete disappearance of AD, 12/40 children (30.0%) were still affected by AD; 8/40 (20%) had asthma and 8/40 patients had, or developed, allergic rhinitis. These preliminary results seem to confirm a positive therapeutic effect of homeopathy in atopic children. Furthermore, according to the data from the literature paediatric patients treated with homeopathy seem to show a reduced tendency to maintain AD and develop asthma (and allergic rhinitis) in adult age.